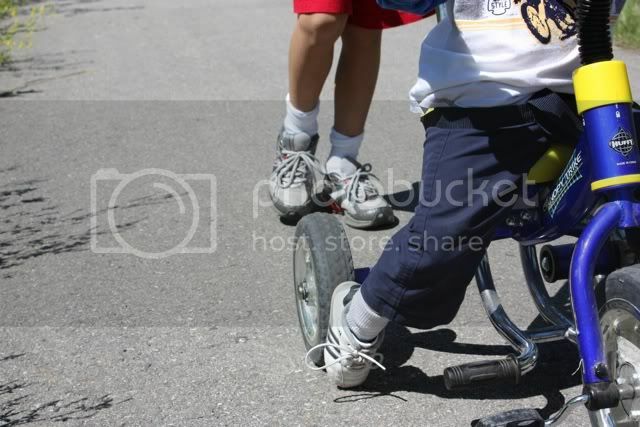 We took Cole for a bike ride and the boy has grown as he can now touch the ground with his feet. He's not big enough peddle himself yet. He was quite pleased with his ability to drag his shoe on the ground while we were moving. Obviously I was not too crazy about this because these shoes have not yet been outgrown! I do remember my brother wearing out a pair of runners when he was a kid because he would drag his feet to stop his bike rather than use the brakes :). 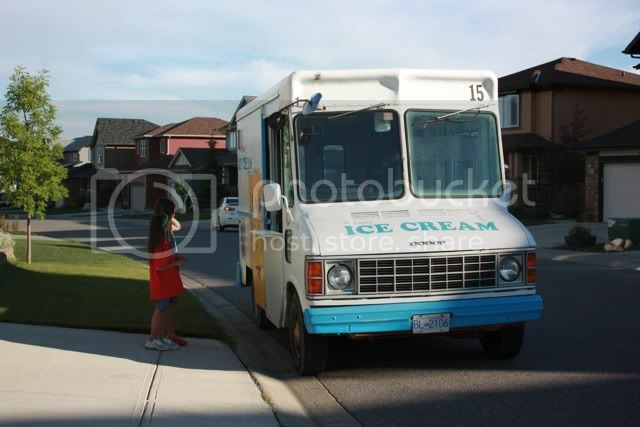 Peyton and her good friend from next door were absolutely ecstatic when they heard the ice cream truck coming on Wednesday. 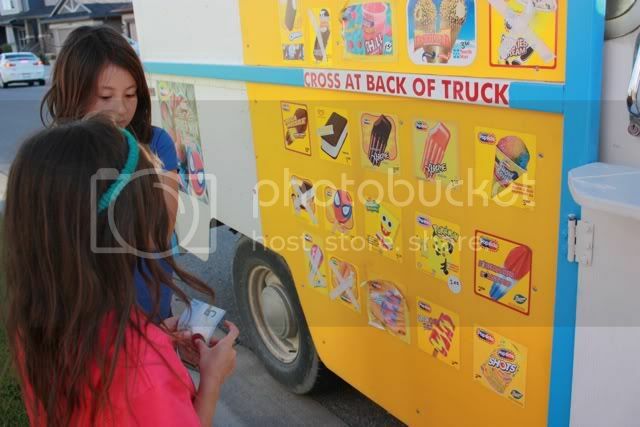 I gave them each two dollars to buy an ice cream (Ray told me that would not be enough money, he was right). The weather is absolutely beautiful here today! It really feels like summer now. Jack had baseball practice this morning then we came home, had lunch and went to the park. 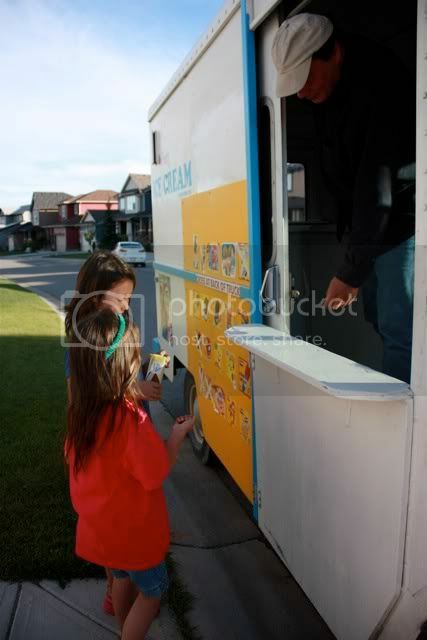 Ray and I are working on supper right now and Ray will be taking Blake, Jack and Peyton to the Stampeders game tonight. Go Stamps Go!